My takeaway? The Pre is a very impressive device and I’m getting one! It combines some of the best features from the iPhone/OSX – like a visually polished and intuitive UI with multitouch, and from the G1/Android – like the notifications tray and multitasking with background apps, as well as a great Web browser and solid messaging/calendaring features. The Pre adds the extremely clever concept of cards to manage multitasking, gestures (à la Neonode), contact aggregation (from Google, Facebook, etc…), unified messaging, and wireless charging. This is all demonstrated in the video, along with some 3rd party applications like Pandora and Fandango. The only major unknowns left are the media player and the camera. It’s going to be difficult to beat the iPhone on the media player front, but I’m hoping the Pre camera matches the G1 camera, at least. Nice video, but PLEASE turn off the auto level on your cam, -or- run a normalizer on the audio. It’s hard to hear! Besides, although the 5800 features a 3 megapixel auto-focus camera with 640×360 (30 fps, MPEG4) video recording, the auto-focus does not work while video recording, and there’s no audio level control. Pingback: Palm Pre Touchstone to be an entire product line, not just a charging dock | Are you reading? Pingback: Palm Touchstone to be more than inductive charger? : TechVi: Technology matters. i dont know whether there is something wrong with qik but i just could watch the video.. could u please upload it on youtube or something ? 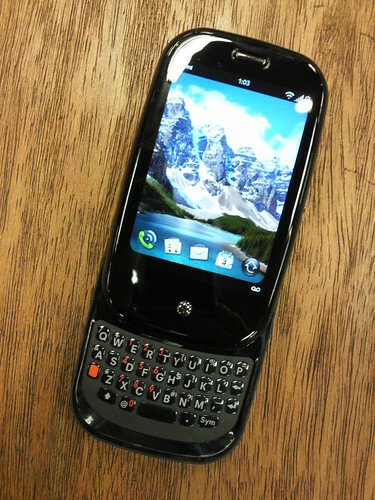 I have some bad news….I went to a Sprint store today and asked about the Palm Pre. The girl there told me the release date for the Pre is June. I kept pushing her for info so she went to check with her manager. The manager confirmed the release date to be June. God, I hope they are wrong!! !